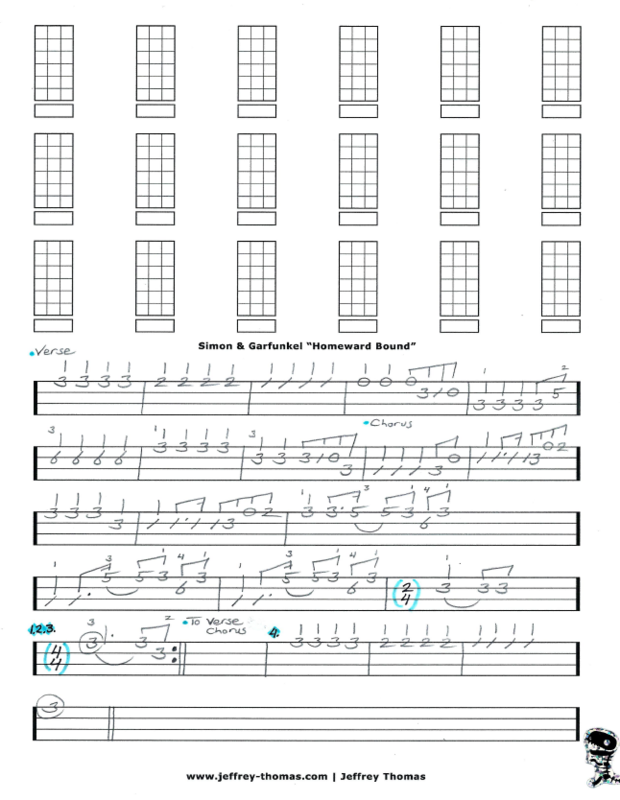 Simon & Garfunkel Homeward Bound Free Bass Tab by Jeffrey Thomas. This is a very cool bass line that is not too hard to play and has a simple overall song structure. I have all the licks straight from the original recording so you can play it like it is. This is a really popular classic folk tune that many of my bass students like. Want the full bass tab for free? Just send in your email address through the form provided and I’ll send it to you. Looking for online bass lessons? Fill out the Schedule A Free Lesson form to set up your free Skype bass lesson today! This tune was written by Paul Simon while on tour in Europe and homesick. Check out more free bass tabs on my tab, video and blog pages!